I often write about the short cuts I take when creating recipes and cooking meals because I believe that anything you do to make your life easier and stops you reaching for a takeaway menu is great. I've been using Knorr Stock Pots and their Touch of Taste liquid stock for years and I absolutely love them. Now Knorr have expanded my options with their new range of Flavour Pots. These are such a handy way to liven up everyday meals and I've been playing with a set of them over the past few weeks. Now it's your turn because I'm giving away FIVE Knorr Flavour Pot hampers. You'll find them in the Herbs and Spices aisle of your local supermarket and there's five varieties in the range : Mixed Herbs, 3 Peppercorn, Curry, Garlic and Mixed Chilies. The clever people at Knorr carefully captures all the fresh flavour, natural aroma and colour of each herb and spice by adding a drop of oil to the mix. This carefully crafted method has led to a bespoke range that will keep longer and make your meals an instant taste sensation. 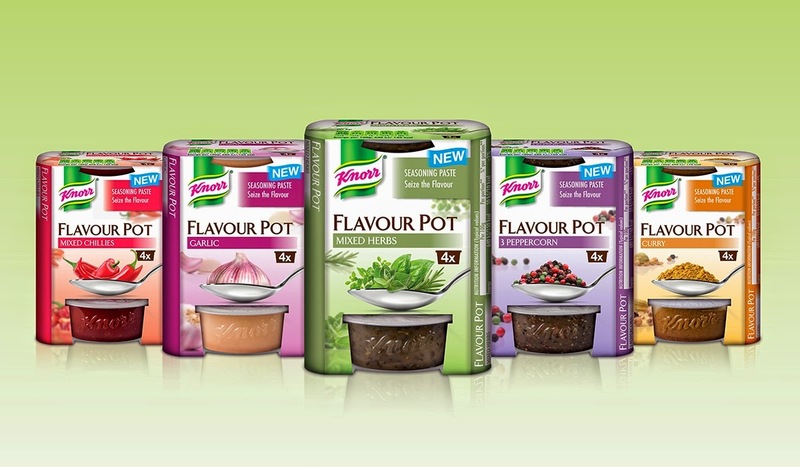 Here's what Knorr have to say about each Flavour Pot. I've been using them in lots of my recipes - Risotto, Greek Beef & Aubergine Bake, Vegetable Rice, Italian Sausage Stew and Normandy Pork Casserole to name but a few. Mixed Herbs – with its unique combination of thyme, oregano, rosemary and basil, this versatile pot is a store cupboard essential and will ensure your herby flavours are perfectly balanced. Use to complement your cottage pie and perfect your pasta. 3 Peppercorn – this mix of 3 peppercorns will add a depth of flavour to your dish. Whether used for a straightforward steak sauce, or a luxury pork stroganoff, this little pot will instantly add a touch of indulgence to your meal. Curry – this complex combination of 13 traditional spices including cumin, cardamom and cloves will definitely add a special ‘something’ to your curry. Use when you want to impress, for a Korma that never tasted so good. Garlic – packing a punch, this pot will deliver perfect results every time and enhance an array of dishes from spaghetti carbonara to stuffed chicken; simply stir in and savour the taste. Mixed Chillies - this pot is crammed with a vibrant chilli taste that will liven up your meals and leave your taste buds tingling with a hint of heat. You can enjoy this with anything from beef stir fry to chilli prawns. Entering couldn't be simpler. Just leave a comment telling me what dish you'd use any (or all!) of the Favour Pots in. · Open to UK & Irish residents only. · Only one entry per person. · Hampers will be dispatched within 28 days of the closing date. ooh I'd use the 3 peppercorn one to make some sort of lovely beef in peppercorn sauce, with lots of lovely green veg.. I would use the mixed herbs for a potato bake and organic chicken! Garlic for me!!!! But they all sound great! Id love to try Mixed Chillies as part of a stirfry or a spicy spaghetti bolognaise! The spicier the better! They all sound delicious, i'd be trying them all! My first attempt would be to do a chilli con carne with the mixed chillies - hot but never too hot for me! I like the sound of garlic with carbonara. Would love to try the curry one please! Mixed Chillies or Garlic for me! Love adding a bit of zing to just about everything I cook. They'd go great with my 'invented' savoury bread & butter pudding using stirfry veg instead of dried fruit. It makes a great Saturday evening-curl-up-on-the-sofa-with-Inspector-Montalbano-comfort-food! Great prize! Mixed Chillies for me please - I'd added them to a Thai red/yellow/green curry! Curry, Garlic and Mixed Chillie all into the one large curry pot! I'd use the paprika pot to make a delicious goulash - hmm! Mixed herbs and garlic in a big pot of ragu. Mixed herb for a delicious stew. I would use Mixed Herb in some homemade soup! 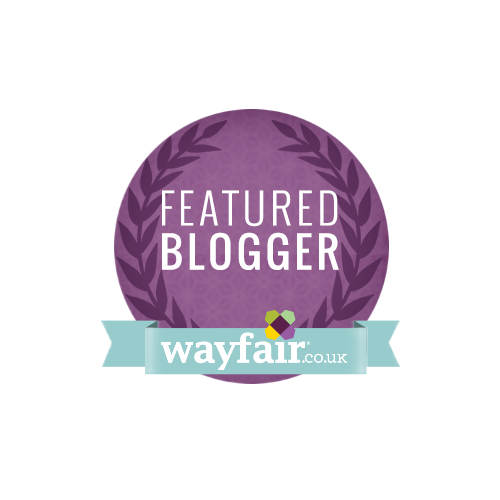 I'd love to try your Italian Sausage stew, using the garlic and mixed herb flavours. Yum! Would love a seafood curry! I would love to try Garlic for my veggie pasta..add a little kick to it! Will definitely be trying the garlic flavour pot in my chicken & broccoli pasta bake.